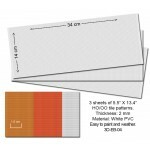 Sheets of embossed PVC patterns. Best for HO/OO scale roofs. Easy to color and weather with the choice of any oil, acrylic, etc. paints. 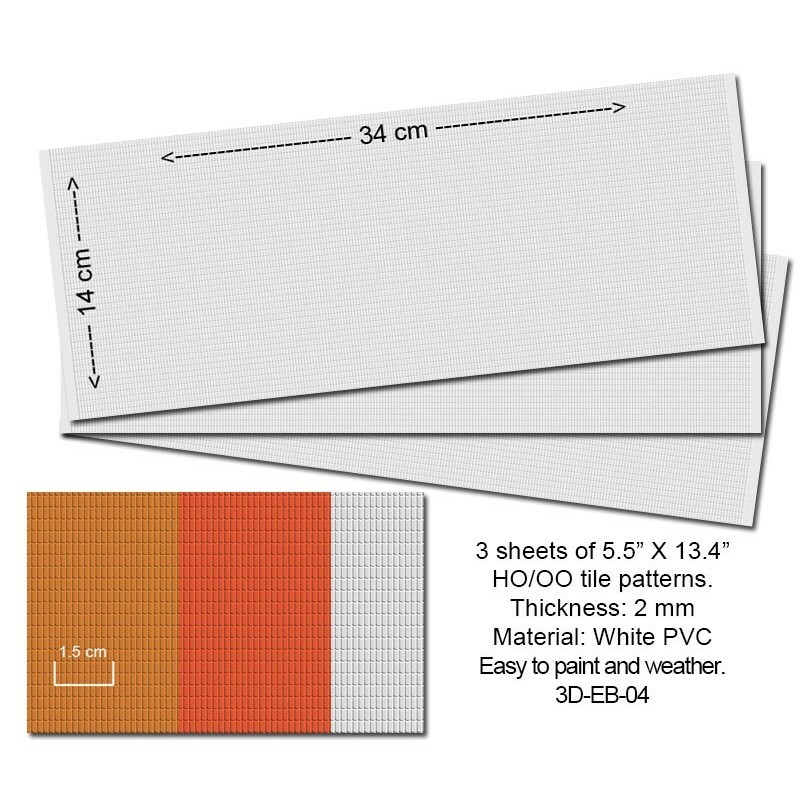 3 sheets in one set.